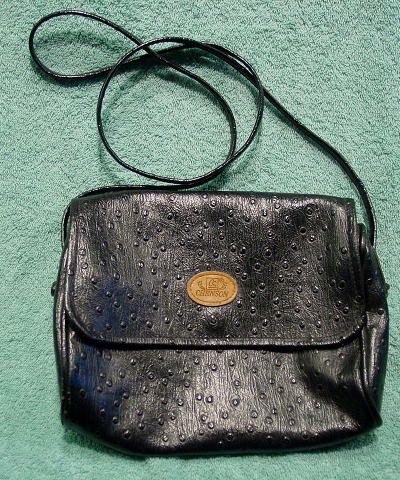 This faux leather black purse has an ostrich pattern and a 48" long shoulder strap. Under the flap is a snap closure. There is a center side to side zippered section which has an interior zippered compartment. Behind the center section is an open section. The front has a 3/4 high zippered section. It has a black plastic lining.